Do I have goals in the Change MOOC? 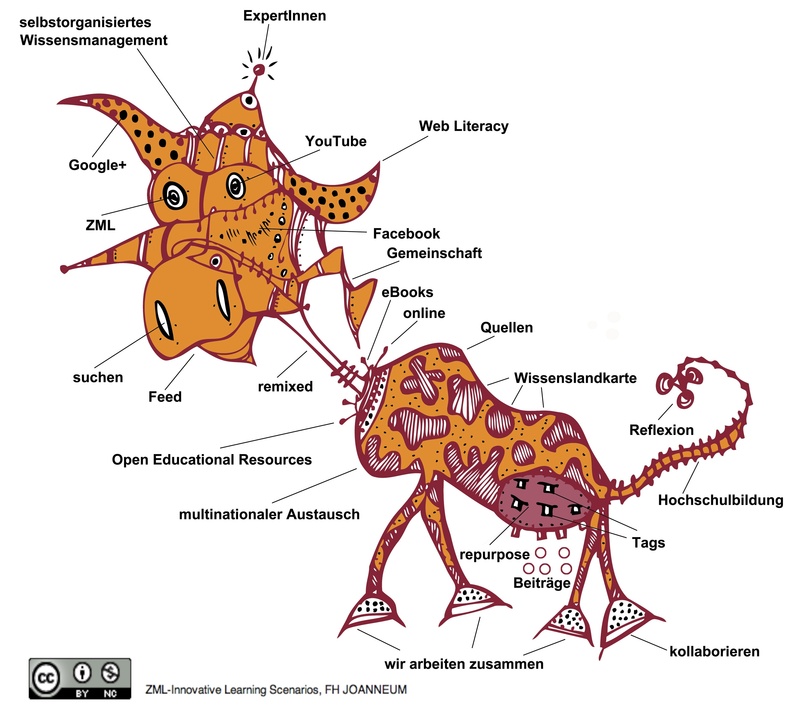 In November 2011 I was very impressed by the MOOC cow of Gordon Lockhart – so I showed it to my cooperators at ZML-Innovative Learning Scenarios and we decided that we want to further develop the cow and use it for our E-Learning Conference in September 2012. Though we are Social Artists creatively developing concepts for moderating and supporting groups, we are not very creative in terms of producing art objects. Therefore it was much easier for us to use the cow of José Bogado, a photographer of Paraguay. I contacted José and he agreed to our use of his cow. We spent a lot of time to decide about the words accompanying the cow, about the colors for the cow and then my colleagues Tina and Claudia struggled to improve the quality of the ZML MOOC Cow as well. 3 Responses to "Finally: the ZML MOOC Cow"